You’ve done it. You’ve booked a flight to Paris. The trip of a lifetime is finally coming true. Now you’re faced with that daunting task everyone hates, but has to do – research. Proper research before any trip is essential to avoid hassle, especially if you’re going with family or a group of friends, and have lots of luggage to carry. If you’re not part of a tour group, a big part of your travel will involve shuttling back and forth: from the airport to the hotel, from the hotel to the attractions, and vice versa. Those on a budget can opt for cheaper choices like the train or bus, but these tend to take up more time and will be difficult to navigate if you have luggage + small kids in tow, or seniors. Personally, I’d pay a little extra for a taxi/shuttle, since I’ll be chauffeured to the doorstep of my destination in comfort, worry-free. I wouldn’t want to spend my first day on a holiday stressing out about the commute. Sometimes it might even be better to pick a taxi: bus ride for one can cost up to 12€, while 4pax by taxi averages about 60€. Piyo Cab is a private budget/low-cost taxi and shuttle provider that services all three airports to places such as Disneyland Paris and its hotels, railway stations, the major business district of La Defense, Park Asterix, and more. All cars are air-conditioned and non-smoking, with professional drivers who know the ins-and-outs of Paris, to ensure a safe and comfortable journey. Upon arrival, a driver will be waiting with your name board, and they will also monitor flight schedules in case of delays, so a driver may be despatched at the right time. Drivers will wait up to 1 hour for free, but beyond the hour between 9PM to 6AM, a 15% surcharge of the booking amount is applicable. As they are a private taxi/shuttle service, you’ll never have to worry about sharing the ride with others. Larger vehicles can seat up to eight passengers. For groups, you might even get discounts ! Bookings can be made online or via smartphone. If changes need to be made or you need to cancel the reservation, simply do so 24 hours before by emailing or calling them at the 24-hour hotline provided. Traveling with the little ones? Request for a baby seat in the order form and they’ll happily accommodate! 🙂 Payment is by cash when you get to your destination. Pros: air conditioned and non smoking private cabs/shuttles that cater up to 8 passengers, online booking available, 24 hour hotline and customer service, baby seat, free delayed arrival waiting for up to one hour. Cons: Payment via cash only; some passengers might prefer using their cards/online payment. So get some cash ready if you’re booking their service. One of the older taxi/shuttle services on this list, Top Paris Transfer has been in the industry for over 15 years and are accredited by the French Transport Ministry. Like Piyo Cab, they service all three airports and adopt a non-sharing policy. Bookings can be done up to 24 hours before your trip by filling up a reservation form online, or through the phone via 24-hour hotline. 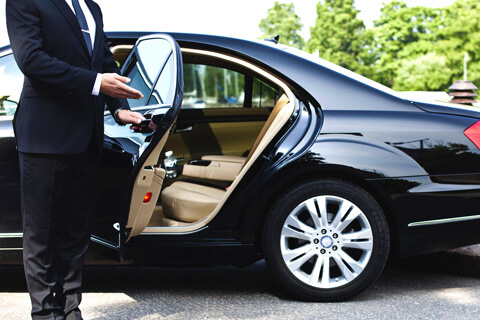 Upon arrival at the airport, a chauffeur will be waiting with your name card and if the flight gets delayed, they have a one-hour waiting period free of charge, with an additional 15% surcharge for anything beyond the time limit. The company goes the extra mile by not only chauffeuring you to the destination, but also offering packages for trips around Paris during your stay, be it to the Versailles or a Giverny Garden Tour. Another major plus? They offer services to areas beyond Paris: so you can go on that day trip to Normandy to enjoy the local cuisine, or walk in the gardens of the Loire Valley Chateaux. I’ve spoken a bit about T2 Transfer in my previous post on attractions in Paris and the different transport options available, but here’s another breakdown. 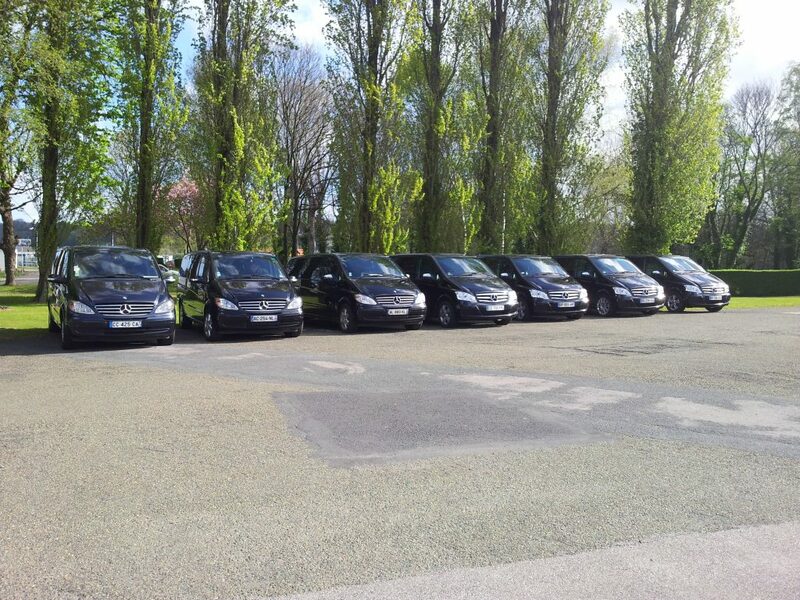 The company provides private taxi and shuttle transfers to and from Paris and any of the three airports. They service attractions such as the Eiffel Tower, Disneyland, the city centre and more. They have air conditioned vehicles that can fit up to eight people, as well as smaller taxis that fit three (additional charge for fourth rider). Taxi or shuttles have to be booked 48 hours before arrival either online or via phone call to their 24 hour hotline. This is a longer period than the earlier two services mentioned, but the plus point is that they allow payment online via credit cards so you don’t have to handle any cash! For those who want to, there is the option of paying the driver after you’ve arrived at the destination. The follow real-time flight changes to adjust for delayed flights, and drivers will be waiting at arrivals with a namecard. One thing to mention is that they claim to have drivers who can communicate in English, so that might be something to consider for English-speaking travelers. Cons: booking must be done 48 hours prior. I hope this guide has been useful in helping you to pick the best Paris airport transfers available, and Happy travels! Really good post! Informative, clear. That’s what I’m talking bout, girl! Well done !